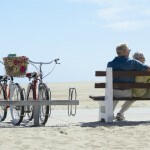 If you don’t get to see enough of your grandchildren, or if you’d just like more quality time and to share in their adventures, then it could be time to book a 3G holiday. A 3G holiday is simply a family holiday for three or more generations – a trip for all the family, from newborns to great-grannies and everyone else in between. In 2018, 3G holidaying is increasingly popular, and with good reason. Quality time and a break from the hectic routines of school, work and jam-packed social schedules, saving money by splitting travel costs and sharing childcare are just a few factors motivating more and more families to holiday with multiple generations and share the fun with grandparents, cousins or grown-up siblings who may not get to see each other all that often. But finding somewhere that suits the needs of all those family members, with their differing ages, interests and abilities, can be a challenge. 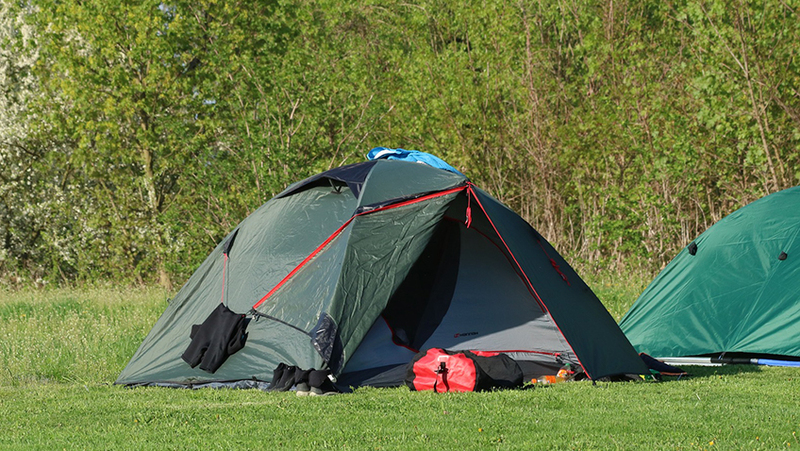 Camping can make for a fantastic family holiday; it offers the chance to slow down, enjoy the great outdoors, spend much needed quality time together and make friends, if you want to. But if you’re a grandparent and the thought of sleeping on, let alone getting up from, a ground level airbed fills you with horror, there is another option. Eurocamp offer the camping holiday-style experience, but as well as tents, they also have a variety of holiday homes on their numerous sites across Europe. And these have beds! 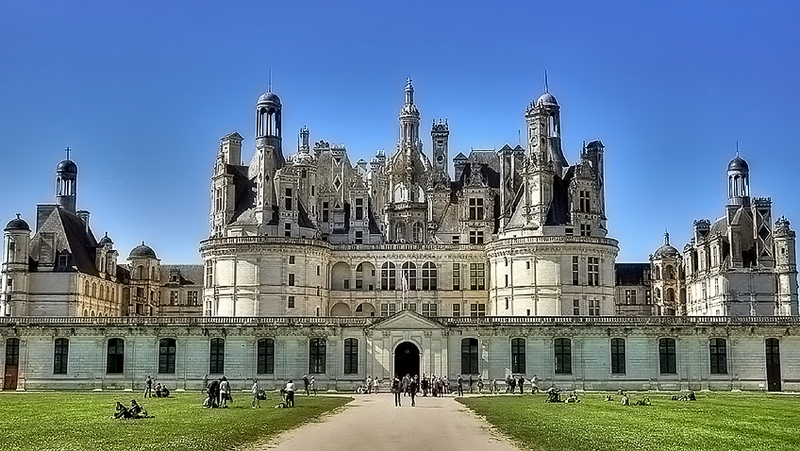 We visited their Le Château des Marais Campsite in Chambord, Loire, in central France; an area rich with vineyards and historic towns. 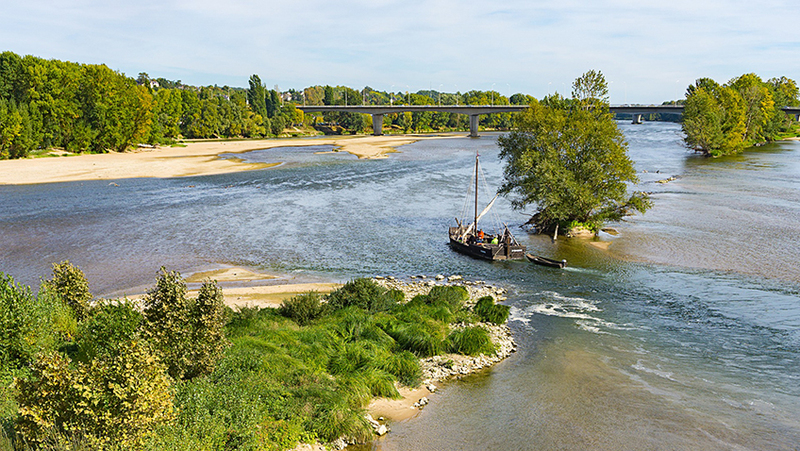 The impressive Loire River, France’s longest, winds its way through the region’s expansive fields and orchards. The nearest town to the site is Muides-sur-Loire (1km) and the nearest airport is in Tours (85km). We travelled by car, getting the Dover to Calais ferry and spending a night in Calais before driving around six hours to the campsite. There are various routes you can take, and many a tourist can be heard having the “go round Paris or not” discussion; it’s worth considering whether you prefer more motorway driving or smaller roads before choosing your route. Whichever you decide, I wouldn’t attempt it without a sat nav! Also remember that France’s main routes have tolls – these are very easy to use (you can pay by cash or card) but will add a little extra to your travelling budget. Le Château des Marais Campsite is a medium sized parc of 311 pitches, set in the peaceful setting of the grounds of an old manor house. Tall trees provide shade, cast dappled sunlight and are home to singing birds and at night, much to the excitement of our young children, bats! Shortly after our arrival, site staff popped in to check everything was okay and that we had everything we needed. They were quick to respond to any issues (such as a broken door handle mid-week) and all staff around the site were always very friendly. We stayed in a three bedroom Espace holiday home which had French doors leading out onto a deck, shaded by a pergola. Having both indoor and outdoor living space meant everyone felt like there was plenty of room and we very much enjoyed alfresco dining. While our accommodation was not the newest or shiniest of holiday homes, it was clean, functional, and on the whole, well-equipped. More importantly, the Espace also has two bathrooms; an essential for a successful 3G holiday! The nature of a camping holiday is that they are self-catering. This works well when holidaying with multiple family members as cooking and washing up can be shared and you can choose to all eat together, or not, depending on what you’re doing each day or to fit round younger children. Our small kitchen was good enough to cater for cooking for all the family, although if you do plan to cook larger, one-pot meals, it may be worth taking your own bigger pot to do so. There are plenty of supermarkets within driving distance and there is also a shop onsite, which sells enough supplies to keep you going (though is a little more expensive than a larger supermarket). Le Château des Marais Campsite, advertised as a relaxed and toddler friendly site, was very popular with other families holidaying with multiple generations. Some were sharing one holiday home, but others occupied multiple properties, all within throwing distance of each other. The benefit of this is that it allows families to spend time together, while at the same time providing the option for people to retreat to their own space when they need to. Facilities on the site included five swimming pools of varying sizes, depths and temperatures, housed within the safety of a fenced area. Though the pool area was often very busy (and at times it was difficult to get a seat or a sun-lounger) the pools, slides and “lazy river” were great fun, especially for the younger generation. Another attraction were the go-karts that guests could hire and people of all ages could be seen racing around the site’s track roads, pedalling four or more friends or relatives at a time. There was also a tennis court, a boules court and crazy golf, available to use at no extra cost. 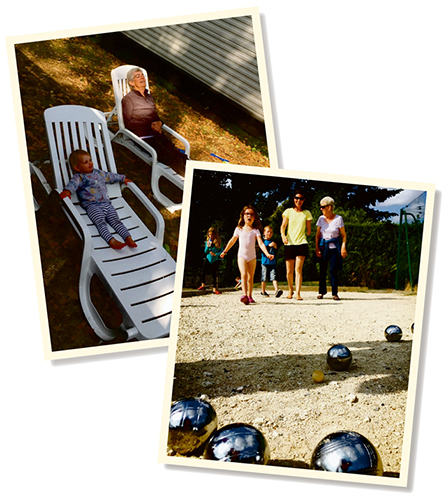 We very much enjoyed an ongoing family boules tournament; everybody took part and players ranged in age from one to 75! For older children, what stood out about the whole experience was being able to enjoy that bit more freedom than they are used to at home; we felt safe letting them walk or bound off on their bikes to explore the playgrounds and make new friends. This site, in particular, was small enough that the children were never too far away and it was easy to keep an eye on them, whilst letting them do their own thing. While this particular site didn’t have the best entertainment or playparks for smaller children, practically speaking, Eurocamp is extremely well equipped to cater for babies and toddlers. You can hire travel cots, high chairs, baby baths and booster seats (all of which take up space in your car that could otherwise be used for extra family members!) The balconies on the holiday homes also all come with a toddler gate to stop them wandering off, although these were frustratingly difficult to open and close for people of any age! Inside, a remarkable open double-spiral staircase is the centrepiece of the château. Smaller, but equally interesting, is the Chateau de Cheverny. The grounds offer a great space for youngsters to run around and there is a beautiful picnic area where you can watch black swans swimming on the lake. There is also a hedged maze, which provided much entertainment for everyone. Inside the chateau, visitors can tour the vast rooms, and at the time we visited, there was a Lego exhibition, which was of great interest to younger members of the family (LEGO® is on from 27 June, 2018 to 31 December, 2019). 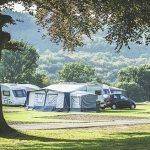 Whether you choose to venture out and see the sites, or enjoy the facilities and company on the campsite, Le Château des Marais and the surrounding area offers something for everyone. There’s no doubt that practicalities such as sharing costs and childcare make a multi-generational holiday a fantastic option for all. 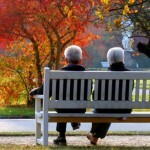 But aside from that, it also creates valuable opportunities for bonding and creating lasting memories for all the family. If the camping-style, 3G holiday experience is what you’re after, Eurocamp is a great way to do it. You can find out more about Eurocamp holidays by visiting: www.eurocamp.co.uk or calling 01606 787125 between 9am and 9pm. 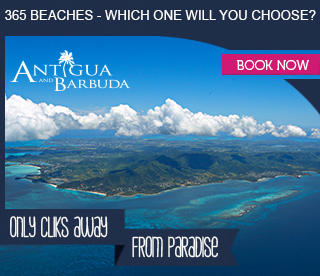 You can also pick up a brochure in any good travel agent.